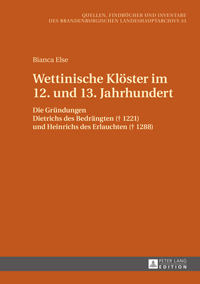 This book, a lightly-revised version of the author's dissertation, examines the foundations and early endowments of eight monasteries established by members of the Wettin dynasty during an important period of the German Ostsiedlung. All eight of the monasteries were founded by either Margrave Dietrich "der Bedrängte" of Meissen († 1221) or his son Margrave Henry "der Erlauchte" of Meissen († 1288). Dietrich established four of these houses: Zwickau, Eisenberg, St. Thomas in Leipzig, and Holy Cross near Meissen. Margrave Henry established the other four: Sts. Mary and Lawrence near Grimma, Seußlitz I, Neuzelle, and Seußlitz II. The principal sources for this study are the charters issued by these two lords during their lifetimes in support of their new foundations. 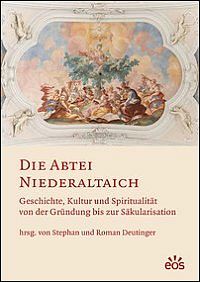 While most of the charters analyzed here have been published in modern editions, Else includes in an appendix the editions of five previously unpublished charters for the monastery of Neuzelle, which only survive in early modern copies. 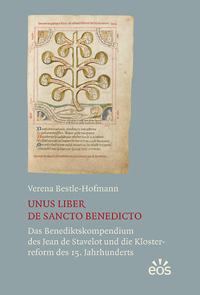 The book begins with a lengthy introduction, in which the author discusses the language of monastic foundation and endowment in the sources, the territorial and political situation in the regions of Wettin lordship, and the dominant strands of medieval religious thought on the subjects of sin, penance and the soul's fate in the afterlife. All of these themes then guide Else's analysis and arguments throughout the remainder of the book. The body of the work is divided into two main sections, one on Margrave Dietrich and his monastic foundations, the other on Margrave Henry and his foundations. 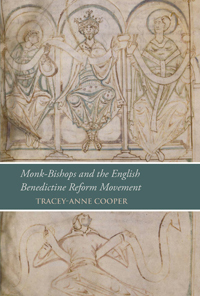 In these sections, the author provides detailed accounts of the early histories of each of the eight monasteries on the basis of recent research and her own close reading of the sources. Else comments on the locations of the monasteries, especially if there is any question about their original site; she establishes the earliest dateable references to their existence; and she offers fresh perspectives on the often difficult question of which religious order originally settled at each of the houses. These detailed discussions of each house's early history will be invaluable to anyone working on these monasteries in the future. Alongside this important research, the author pursues two broader arguments throughout the book. The first of these concerns the legal language used in the earliest documents concerning the monasteries' foundations and endowments. In conversation with the works of Michael Borgolte on Stiftungen, as well as other scholarship, Else insists on the necessity of paying careful attention to the Latin verbs used in the sources for the earliest acts relating to the establishment of these communities (fundare, donare, and similar terms). The author contends that modern, legalistic ideas of foundation and endowment do not necessarily correspond to medieval ideas. She therefore discusses the specific terms that appear in the earliest charters for those six monasteries for which there survive documents describing their origins. She argues, on the basis of her close reading, for a distinction between the foundation of a monastery as a legal act and its endowment with the material necessities for its existence. The second argument, which is the one the author seems most interested in pursuing, is only tangentially related to the first. Else focuses a great deal of her attention on the question of what motivated these two margraves to found and endow all of these monasteries. The author's training is in theology, and this is reflected in the unusually detailed discussion she gives of the spiritual factors that may have played a role: including the sinfulness of noble society, the fear of Hell, and the need for people to do penance. Else provides brief biographies of both margraves early in the book, and here she focuses on understanding their personalities and what might have driven each of them to found four monasteries in his lifetime. She points out, for example, that both margraves came into conflict with prominent churchmen and faced ecclesiastical punishments that may have made them anxious about their souls. Nevertheless, the two men come across quite positively in this book, and Else ultimately concludes on the basis of a wide range of sources that both were good Christians (66 and 118). Following these biographical assessments, she goes on to read the foundation and endowment charters as evidence for their piety, calling attention to the language of forgiveness and penance that appears frequently in these sources. Overall, the strength of this book is that it provides up-to-date assessments of the earliest years of these eight monasteries. The author is less successful in arguing for the broader significance of her findings. 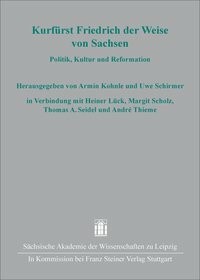 Else concludes that both spiritual and territorial-political factors played a role in the margraves' decisions to establish these religious houses, but this is neither a new nor a surprising claim to make. Similarly, her insistence that scholars draw a distinction between the foundation and the endowment of a monastery is salutary but not as novel as she suggests; studies of individual monasteries frequently draw this distinction. Also problematic is the fact that, while the author reads the charters closely, she does not address the question of whether or not the language of piety in the charters can confidently be said to reflect the margraves' motivations rather than the scribes' models. In other words, how do we know that these two margraves played a direct role in deciding all the language that went into their charters? Here, Else's primary training in theology rather than medieval history may be evident; there are some issues of source criticism and source production that are not addressed satisfactorily, at least from this medievalist's perspective. Thus, while her focus on the margraves' pious motivations is an interesting approach to take to her evidence, her arguments are not as original or convincing as the reader might hope.